Born: March 12, 1878 in Borgonuovo di Camigliano, Lucca, Italy. Parents: Henry Galgani & Aurelia (Landi) Galgani. Baptised (Roman Catholic) March 13, 1878- St Michael Church, Camigliano, Italy. May, 1878 -Galgani family moves to Lucca, Italy. May 26, 1885 -Gemma is confirmed in St Micheals Church in Forum. Jesus asks her for the sacrifice of her Mother. 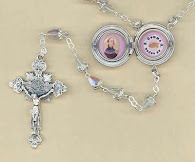 June 17, 1887 -Gemma recieves First Communion on Solemnity of the Sacred Heart of Jesus. 1889-1893 -Gemma attends School run by the Zitine Sisters. Among her teachers was Venerable Elena Guerra. Gemma later uses weekly the Holy Hour book written by her. 1894 -Her brother Gino, who was a seminarian, dies. Gemma and Gino were very close. 1896 -Gemma is given a painful foot operation without anesthesia. Makes a vow of chastity on Christmas day. Nov 11, 1897 -Her Father Enrico dies at age 57. Gemma orphaned at 18 yrs old. Family in poverty due to Fathers illness before death. House items are seized by creditors. Dec 25, 1897 -Gemma officially makes a vow of purity. 1898 -Extraordinary mystical experiences begin. Gemma refuses a marriage offering "because she wants to be of Jesus only". March 3, 1899 -Gemma is miraculously cured by Jesus through the intercession of St. Gabriel Possenti, after making a Novena to the Sacred Heart of Jesus. June 8th, 1899 -Gemma recieves the Stigmata from Jesus. Sept 1900 -Gemma is taken in "full time" by the Giannini family. Feb-May 1901 -Gemma is ordered to write an "General Confession" (Autobiography) by her Spiritual Director, Father Germanus C.P --She calls it "The notebook of my sins". 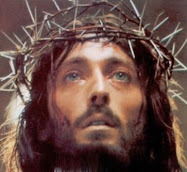 July 19, 1901 -Gemma receives the Crown of Thorns for the first time. 1902. -Gemma offers herself increasingly as a "victim" for the conversion of sinners. Jesus also tells her of His desire for a Passionist Convent in Lucca. Sept 9 or Sept 21, 1902 -Gemma becomes seriously ill will high fever and frequent hemorrhages and begins her 7 months of suffering leading up to her holy death. Jan 24, 1903- Because of Father Germanus and the Doctors repeated requests due to worries of Gemma possibly being contagious, Gemma was moved to a small apartment across the street from the Giannini's (Via Della Rosa-"Rose St."). April 1903 -She begins her "darkest period" as a consequence of offering herself as a "soul victim" for the conversion of sinners. The weight of numerous sins of those whom she is suffering for weigh heavily upon her body and soul. Holy Week 1903 -In intense pain, but with her heart all on fire with love of God and souls, Gemma enters into Holy Week united with Jesus on the Cross. One of the Nursing Sisters assigned to her says "We have cared for a great many sick people, but we have never seen anything like this". April 11, 1903 -After many months of suffering from the ravages of tuberculosis, continuously offering herself as a victim for the conversion of sinners, Gemma dies a holy death at 1:00pm on Holy Saturday. Oct 2, 1903 -Pope Pius X signs a Decree of foundation for the Passionist nuns to be founded in Gemma's hometown of Lucca. March 19, 1905 -The Passionist Nuns begin their presence in Lucca, fulfilling the wish that Jesus had expressed to Gemma. 1907 -Father Germanus, spiritual director of St Gemma, writes and publishes her first biography. The Parish Priest who baptised Gemma, Don Pietro Quilichi generously helps to finance the first edition, which is exhuasted in two months. 1907-1910 Official process for canonization is begun. Initial process begins in Lucca with the preliminary Diocesan inquiries (Processi informativi) into her life and virtues. At this initial first step, she is officially considered a "servant of God" by the Church. 1908- Gemma's holy remains are exhumed and moved to a more priveleged plot. 1909 -Letters between Father Germanus and Monsignor Volpi are published, along with some of St Gemma's statements during ecstacies, which were transcribed by the Giannini family members. Dec 11, 1909- Gemma's spiritual director, Ven. Father Germanus Ruoppolo dies a holy death, six years after the death of St Gemma. He has been officially declared “Venerable” by the Catholic Church. May 7, 1918 -Approval of her writings. April 28, 1920 (Feast of St Paul of the Cross at that time -old roman calendar) -Cause for Beatification introduced in Rome. 1922 -Canonical process of investigation for beatification/canonisation officially begins. June 19, 1931 The death of Gemma's Confessor and spiritual friend in Christ, Monsignor Giovanni Volpi, the Auxliary Bishop of Lucca during Gemma's life, and later the Bishop of Arezzo. He is entombed along with Ven. Father Germanus C.P. in the Monastery of St Gemma. Before his death he gave a considerable amount of money towards the enlargement of St Gemma's monastery, presumably out of devotion to Gemma, his spiritual daughter. November 29, 1931 -Pope Pius XI approves Gemma's heroic virtues. 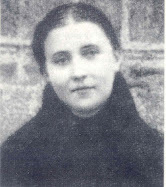 May 14, 1933 -Beatification- Pope Pius XI officially declares Gemma Galgani to be "Blessed". May 2, 1940 -Pope Pius XII solemnly declares Gemma a canonized Saint of the Catholic Church. Gemma is now officially "Saint Gemma Galgani"
Today on the Feast of the Sacred Heart I consecrated myself at age 61 to St Gemma and reconsecrated my wonderful wife Sheree and I to the Sacred Heart after reading this wonderful website. Though I am a True Catholic Psychologist I wen thru years of deprograming from all that I was taught, partly as a result of prayer to St Gemma and the books on Excorsims. Thanks so much for your comments and especially for sharing your spiritual journey with us. I read your message several times and each time I read it my heart filled with joy. I can only imagine how much joy there is in heaven over the consecration of you and your wife on the feast of the Sacred Heart. Surely Jesus is overjoyed and Gemma is smiling upon you. Please pray for me and my family and be assured of my poor prayers for you and yours. She was canonized when I was a young child and as with many of the servants of God, it sometimes took a number of years before their writings were translated into English and other languages for all to read of their saintly lives. She was a young child when her mother also died of tuberculois and all of her family died before the turn of the century. A cure was unknown for this disease at that time. Remeber St. Teresa the little flower also died of tuberculois & had they lived in our present day, could be cured. The priest & the family who took her in, did the best known to care for her at the time. 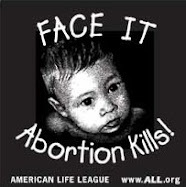 The advances in science and medicine have saved many lives. Praise God. Yes, I believe that the Giannini's, Father Germanus and the Physicians definitely took care of Gemma the best they could, with the means at that time. But her impending death was really no surprise for Gemma because interestingly, Jesus told her about a few years before her death that she would die at the age of 25. This fact is documented in a letter that she wrote to Father Germanus (I have it posted here on the website). In fact, we see in her ecstasies, letters, diary and autobiography how she expressed countless times to Jesus of her desire and longing to be with Him in heaven. So, in her hunanity I'm sure she did not look forward to dying, but in her heart, mind and soul she longed for death because she fervently longed to be with God. wonderful grace to know how old we shall live to be. short in comparison to Eternity. 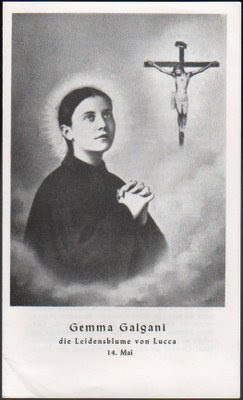 I am a relative of Saint Gemma and am humbled by all the love you all have for our lovely Saint.